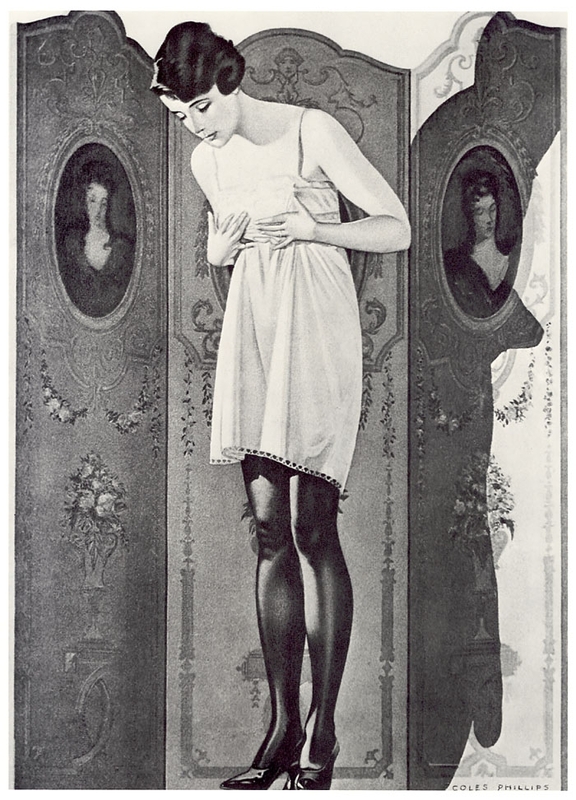 1920’s hosiery ad – illustrated by Coles Phillips. 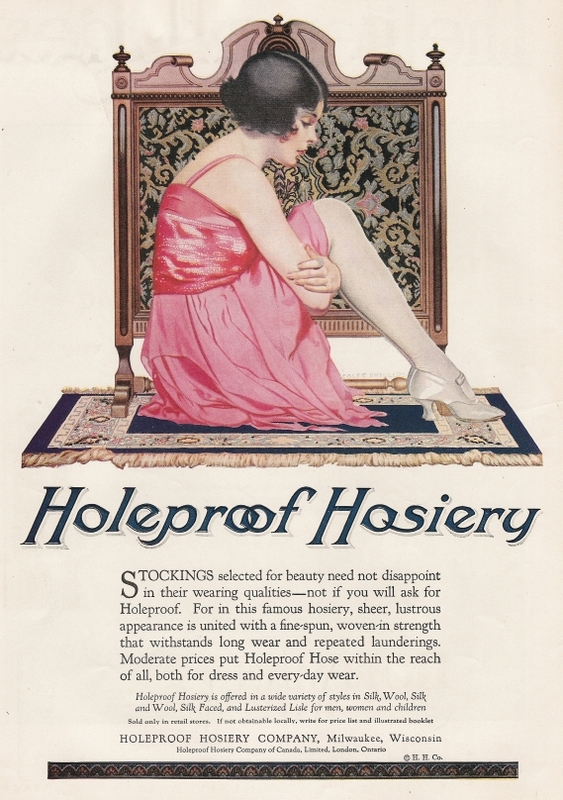 The story of how hosiery developed into such a uniquely feminine piece of apparel is largely to do with the developments in fiber. 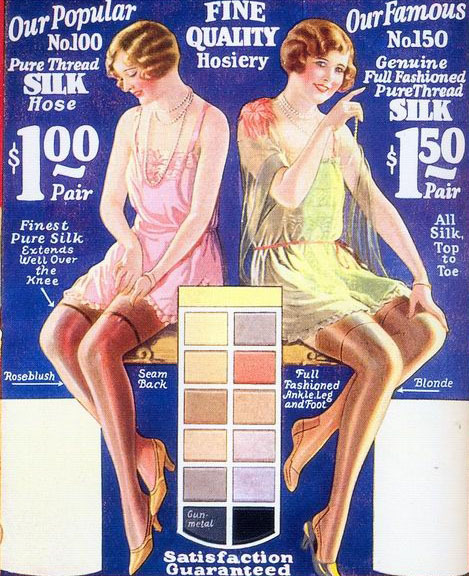 During the late 1800’s, the fibers used in hosiery changed over from woolen to cotton. 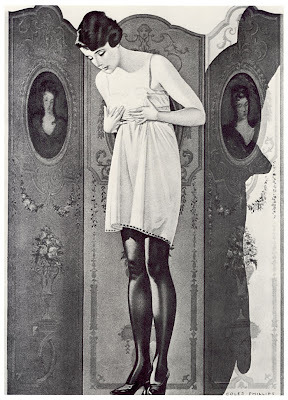 By the early 1920’s, women’s stockings were almost exclusively made from silk. The new rage of ‘ Rolled stockings’ took off amongst the Flappers of the early 1920’s – especially in summer time and at the beach. Women began to wear more body hugging styles of swimwear like the famous Jantzen bathing suit. Up until the mid 1920’s, the popular fashion was to roll your stockings to just below the knee and wear with your swimsuit. By 1926 this fad disappeared fairly rapidly. 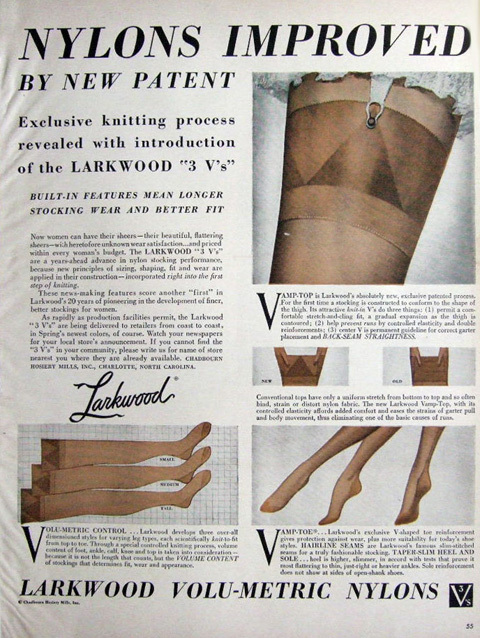 In the 1930’s, Stocking sales began to rise dramatically and new synthetic fibers were appearing regularly. 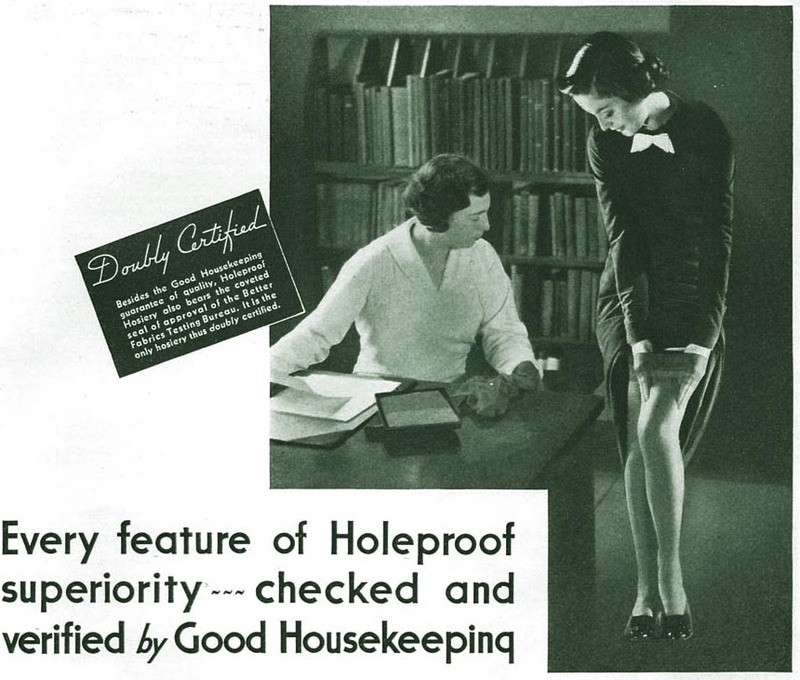 Then Wallace Carothers from Dupont, invented Nylon, and women’s legs were never the same again. 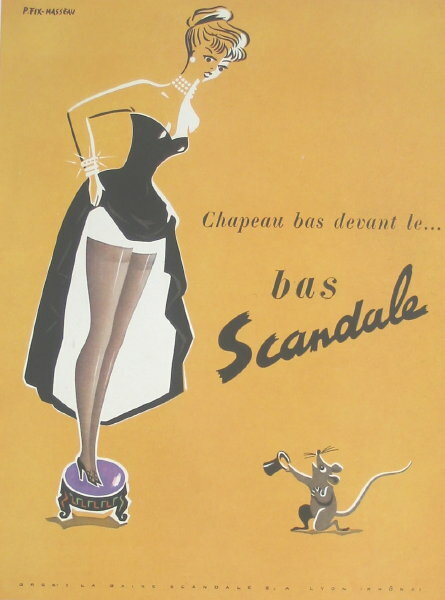 Nylon stockings were first demonstrated to the American public at the 1939 New York World’s Fair ! During World War Two, American GI’s charmed their way across Europe with pairs of much sought after Nylons from the USA. Bob Hope joked that the soldiers had more access to nylons than most women he knew back home. During the war, women were encouraged to donate their used silk stockings to the war effort.Not for parachutes, but for missiles! At the end of the war, famously in the city of Pittsburgh, 40,000 plus women stood out all night in heavy rain, to be in line for the first commerially available nylons to the average american woman. 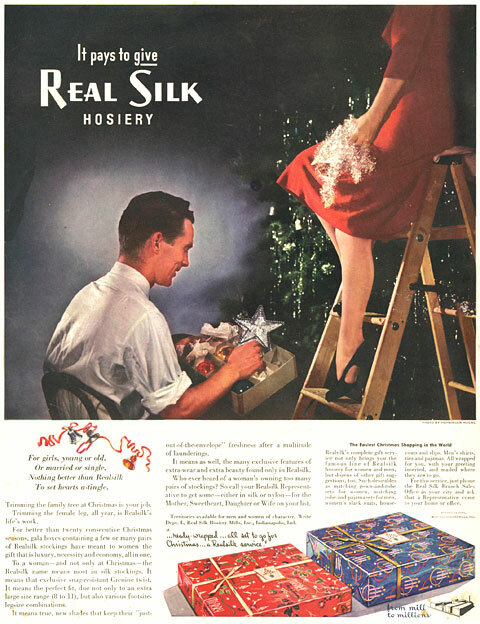 Seamless stockings arrived in the 1950’s, and nylon became even more luxurious with the invention of Spandex. A unit of weight for measuring the fineness of threads of silk, rayon, nylon, etc. Not a lot of people know that !